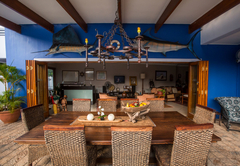 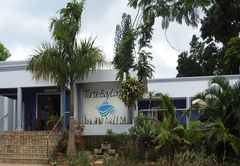 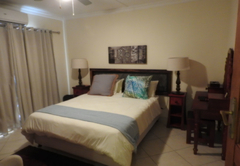 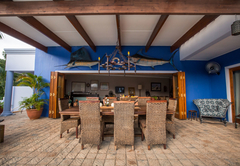 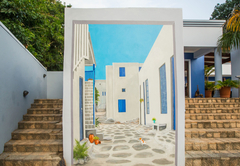 Turtle Bay Lodge is a highly recommended St Lucia hotel providing accommodation in 7 guest rooms for tourists visiting the Elephant Coast region. 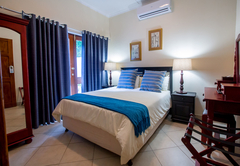 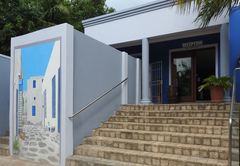 Turtle Bay Lodge offers accommodation in the serene area of St Lucia only a short walk from the town centre and the estuary. 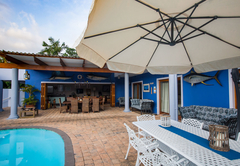 While in town you can enjoy dining at one of the many wonderful restaurants. 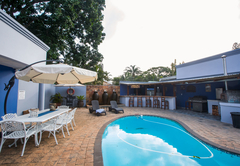 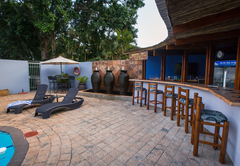 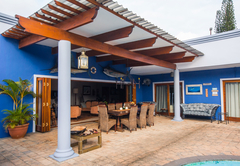 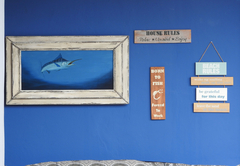 Turtle Bay Lodge has a tranquil environment and you are welcome to take a dip in the swimming pool, order from the cocktail bar and simply unwind and enjoy a fabulous holiday. 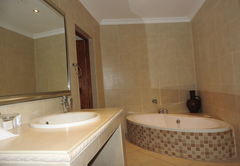 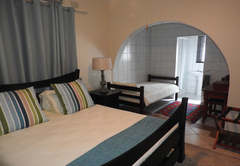 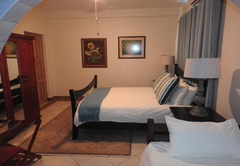 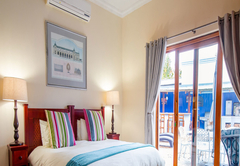 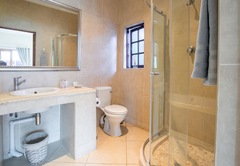 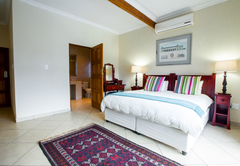 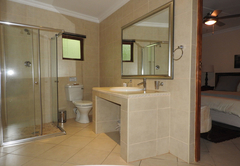 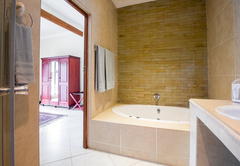 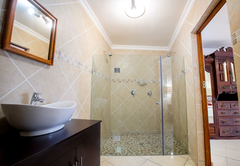 Choose from our Luxury Rooms, Double Rooms or Honeymoon Suite, all offered on a Bed & Breakfast basis. 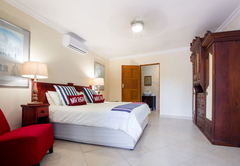 Our spacious Luxury Rooms consists of a King size bed / twin beds, with the option of an extra bed, with Egyptian cotton bedding, en-suite bathroom with shower, coffee station, free Wi-Fi and a patio overlooking the swimming pool patio. 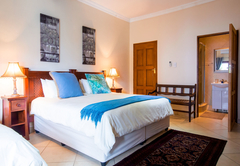 Our spacious Double Rooms consists of a Queen size bed with Egyptian cotton bedding, en-suite bathroom with shower, coffee station and free Wi-Fi. 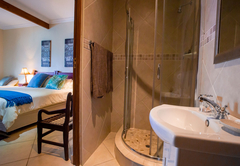 Our spacious Honeymoon suite consists of a King size bed with Egyptian cotton bedding, en-suite bathroom with shower, coffee station and free Wi-Fi. 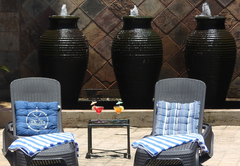 The room has its own private patio. 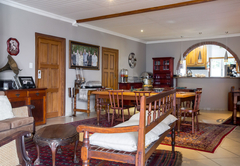 A full English breakfast is served every morning and includes a sumptuous selection of fresh fruits, yoghurts, cereals, bacon, eggs, toasts, jams, juices, tea and coffee. 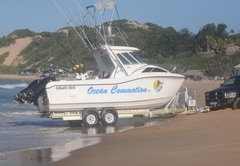 While staying with us, you can join us for a Deep Sea Fishing trip on a 24 foot sports fishing boat. 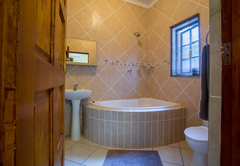 The boat has a cabin with a toilet on board. 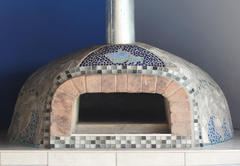 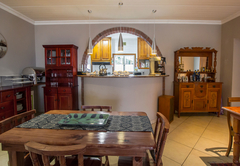 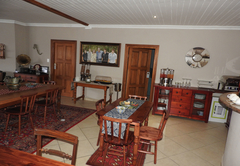 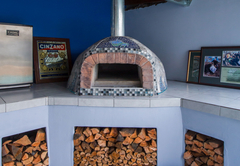 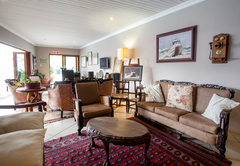 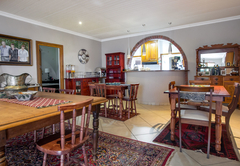 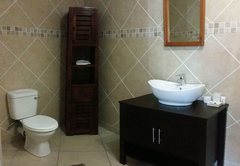 Very nice place, The hosts were extremely friendly and i enjoyed the relaxed atmosphere. 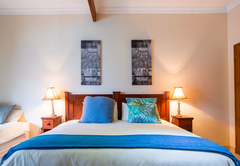 Response timeTurtle Bay Lodge typically responds to requests in 5-10 minutes.